Whether you’re a weekend or a professional cyclist, proper conditioning is essential for injury prevention. This step-by-step course provides all the tools needed to help improve cycling nutritional performance, help prevent cycling injuries and enhance training techniques for pain-free cycling. In this step-by-step Specialist course you will learn about cycling skills, cycling gear and cycling training drills to boost speed, gain power and increase efficiency. This Speciality Certificate Credential will help you expand your marketability to individuals who bike or who want to compete in cycling events and also help boost your business. Amplify knowledge to help cyclists develop good nutritional habits. Discover the importance of pre, during and post activity nutrition, electrolytes and vitamins. Amplify knowledge on racing and recovery. Discover the importance of race-day strategies. Gain insight on preparing your body for competition. Gain knowledge on year-round conditioning. Learn about appropriate cycling equipment and clothing to suggest to your clients. Explore different training principles and apply them to cycling training programs. Identify correct and incorrect cycling mechanics and give suitable instructional cues for cycling methods. 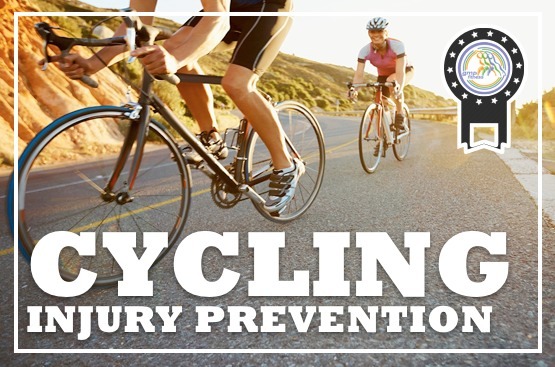 Expand knowledge of bicycle safety and first aid. Understand cycling-related injury and medical problems that affect the body. Learn how to minimize the need for recovery and how the body responds to physical training. Gain knowledge on self-care bodywork techniques for cyclists. Learn how to gain the edge for optimum cycling performance. Discover how to enhance your client’s workout with exercises to help prevent injuries. Discover the training palette of cyclists. ✓ 30 question online true/false and multiple/choice final exam.